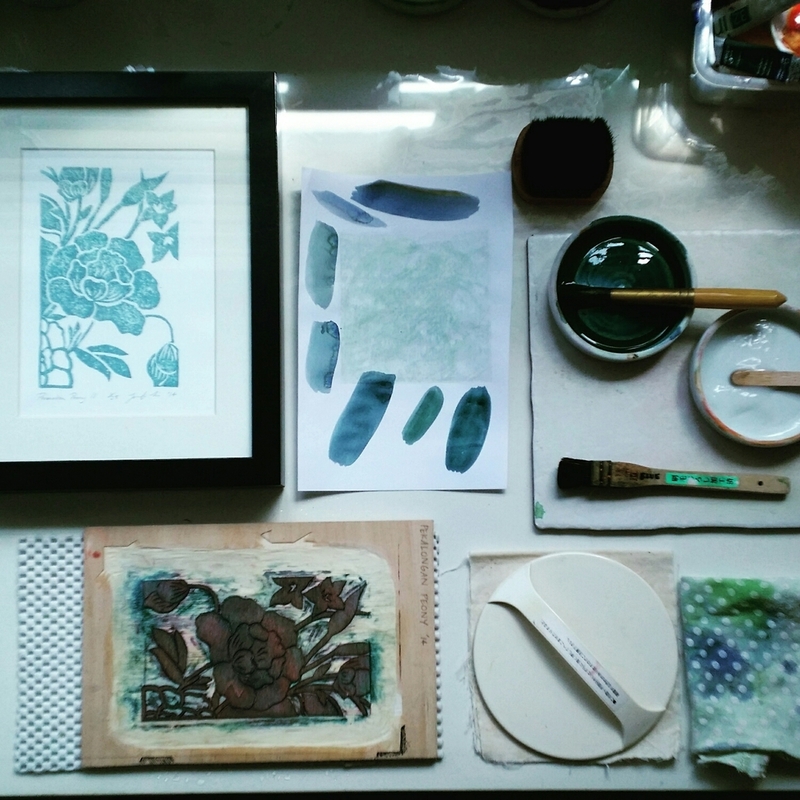 Pekalongan Peony - first and last editioning session. This delicate flower is fading...wood used in this Japanese woodblock print can only hold out for a small exclusive edition! Inspired by a silk sarong produced by Eliza van Zuylen in Pekalongan in the 1930’s. See the original in Peter Lee's new book on the history of sarong kebaya!